Nurture global needs of sustainable food production through engineering interventions of farm mechanization and natural resource management. Impart training, research, entrepreneurship abilities and skills to have all-round development of the students. Disseminate appropriate agricultural technology to the farming community and industries. To create an educational environment in the discipline of agricultural engineering to develop technical manpower, researchers and entrepreneurs with commitment for learning enthusiasm, excellence, ethical behaviour and serving to the farmers and industry. The Agricultural Engineering Department started its B. Tech program in Agricultural Engineering in the year 1986. The department adopts modular pattern of education leading to the degree of B. Tech. in Agricultural Engineering, in three modules viz., Base (in two separate trades of (i) Food Processing and (ii) Tractor Mechanic), Diploma and Degree. After B. Tech students can join postgraduate programmes and Ph.D. The B. Tech. programme is accredated by National Board of Accreditation (NBA). 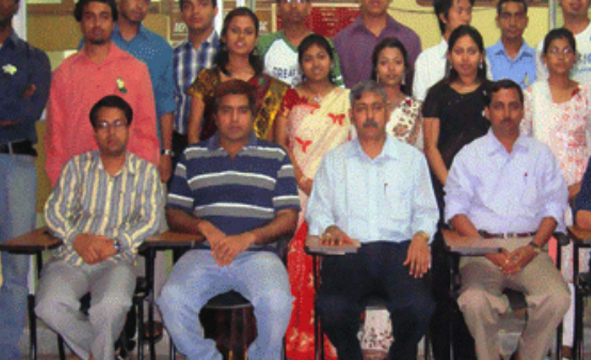 At present department has 14 faculty members. The department runs sponsored research projects on emerging areas of Agricultural Engineering and presently two All India Coordinated Research Projects viz. ; AICRP on Human Engineering and Safety in Agriculture, ICAR, New Delhi and NAIP, project on Livelihood Improvement and Empowerment of Rural Poor through Sustainable Farming Systems in North Eastern Region operated at Upper Subansiri District in Arunachal Pradesh, ICAR, New Delhi are operative under the Department. The department has a well-maintained computational and simulation facility which is connected to National Knowledge Network (NKN) through institute LAN. Dabral, P. P. Purkayastha, K. and Aram, M. (2014). Dry and wet spell probability by Markov chain model-a case study of North Lakhimpur (Assam), India. International Journal of Agri & Biological Engg.,7(6) :8-13.